Join us Memorial Day Weekend and see Civil War re-enactors from Carpenter's Battery and more. 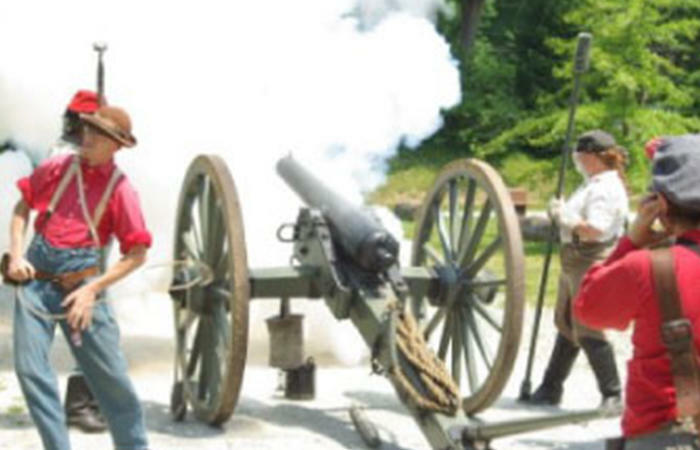 Tour an authentic Civil War encampment to see how a soldier lived during the 1860s, then watch the artillery demonstrations and mock skirmishes! Members of the Military can take advantage of our FREE Military Admission this weekend, and the general public can also save during our Food For Fun Days - $6 off Regular Gate admission with the donation of a canned food item.